NASA and ESA are working to bring soil samples from Mars to Earth. At this year's Innovation and Leadership in Aerospace in Berlin, representatives of the European Space Agency (ESA) and NASA signed a letter of intent to carry out missions to bring soil and rock samples from Mars to Earth. This will take place over the next decade. After many years of researching the Red Planet using robots and orbiters, the time has come for the next step. It is to bring to Earth samples of rocks and soil, which could be studied by scientists with the use of continually improved research techniques. However, this task will not be easy. The whole will require at least three separate missions, as well as doing something that has not yet been attempted: launching a rocket from the Mars surface. The first part of the plan will be to send a Mars Rover 2020 to Mars to collect more than 30 soil samples in small pen-sized containers that will be secured and await collection in the future. The next step will be to send a mission with a small rover, which will be able to transport the samples taken earlier to a lander. There, they will be moved to a small rocket (Mars Ascent Vehicle), which will carry a small tank to the orbit around Mars. Then another mission is to be sent - this time the spaceship that will intercept the samples from the orbit. From there, they will return to Earth, where they will be quarantined after landing in the United States and then examined by an international team of scientists. At the ILA Berlin Air Show, David Parker, ESA Director for Manned Flight and Robotic Exploitation, and Thomas Zurbuchen, Deputy Administrator of the Scientific Mission Directorate, identified the potential roles of each space agency and how they could offer mutual support. Both agencies have agreed that, despite the enormous technical challenges involved in these missions, they can provide invaluable data. Previous missions to study Mars have shown that microbiological life could exist under the conditions there. 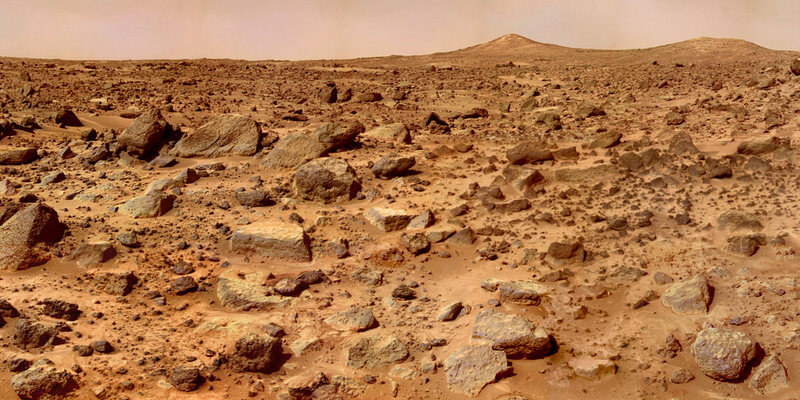 Studying the soil and rocks brought from the Red Planet would help to better understand its past and to answer the question whether there was any life on it in the past. NASA and ESA are also looking forward to a successful partnership with the fast-growing private sector. New technologies, including reusable rockets, could significantly reduce the costs of the whole project.